Looking for something spicy for a cool autumn evening? 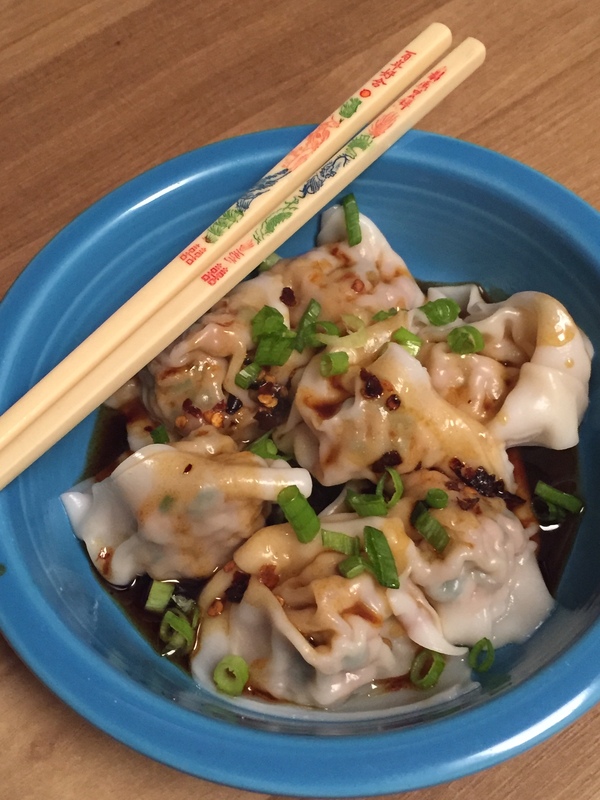 These wontons deliver in a big way. 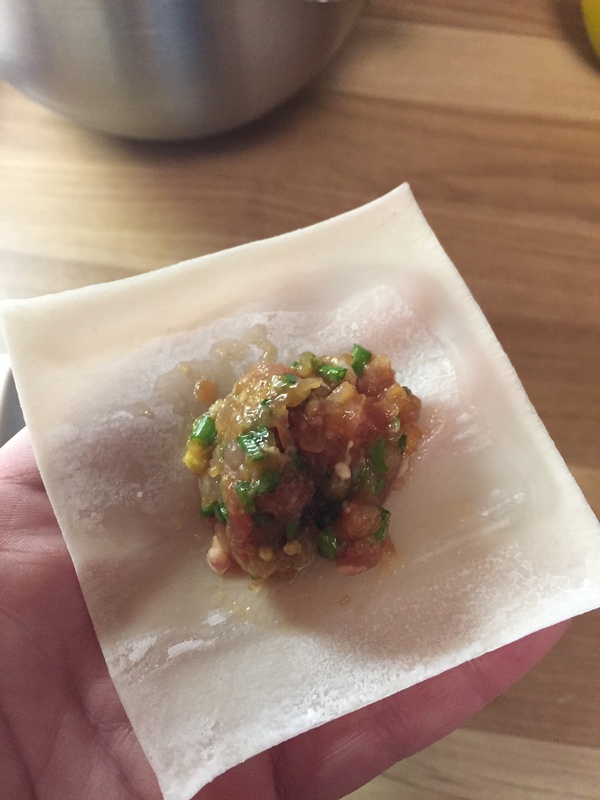 This is my twist on a traditional Sichuan classic. 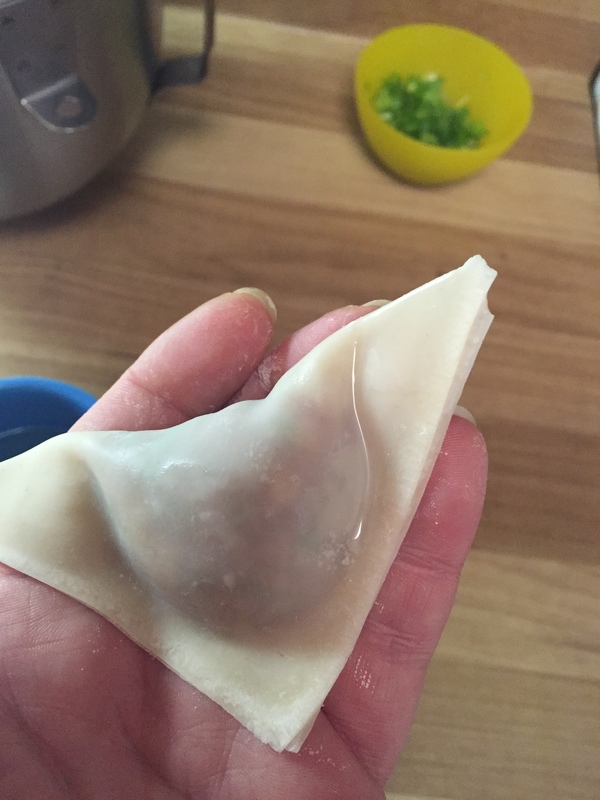 Won-ton wrappers can usually be found at your local Asian market in the frozen section. 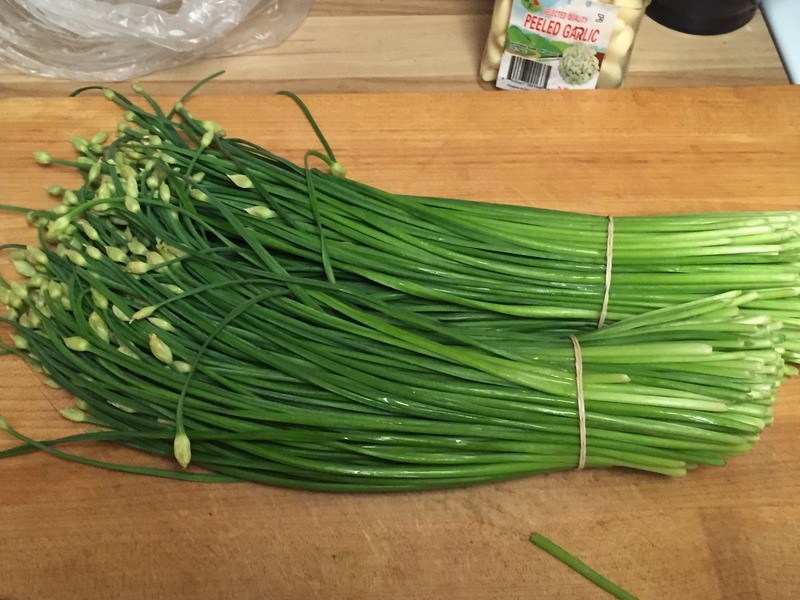 These Chinese chives are available in the Asian market as well. You need one bunch. Be sure to remove all of the yellow blooms from the top and discard. 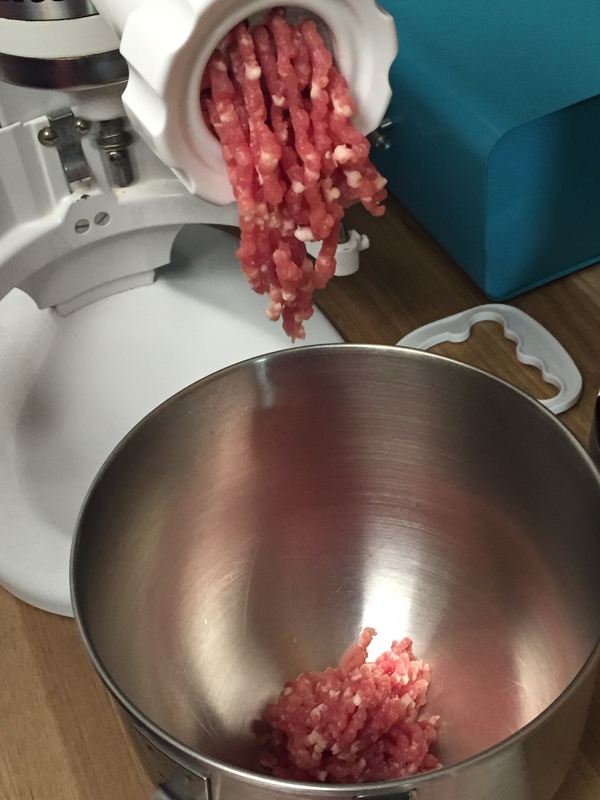 2 lbs of ground pork. 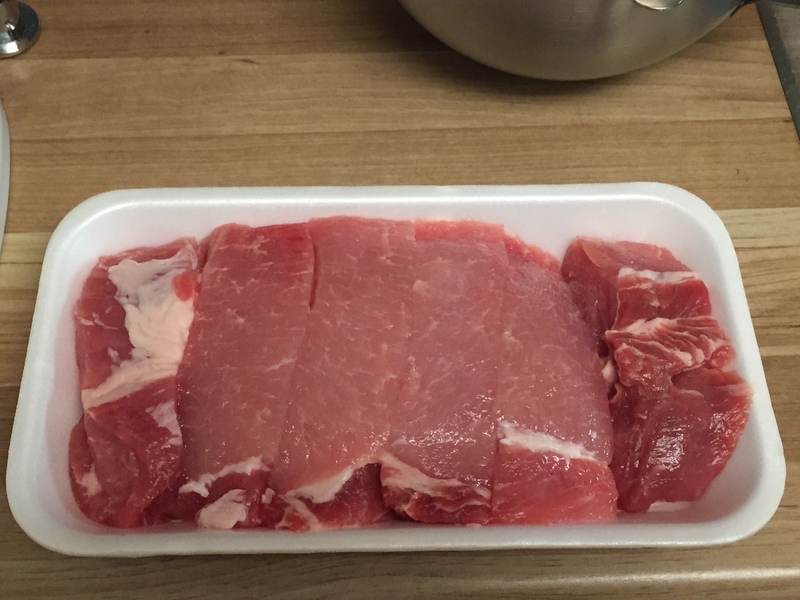 I like to buy the country style pork ribs and grind them with the Kitchenaid. 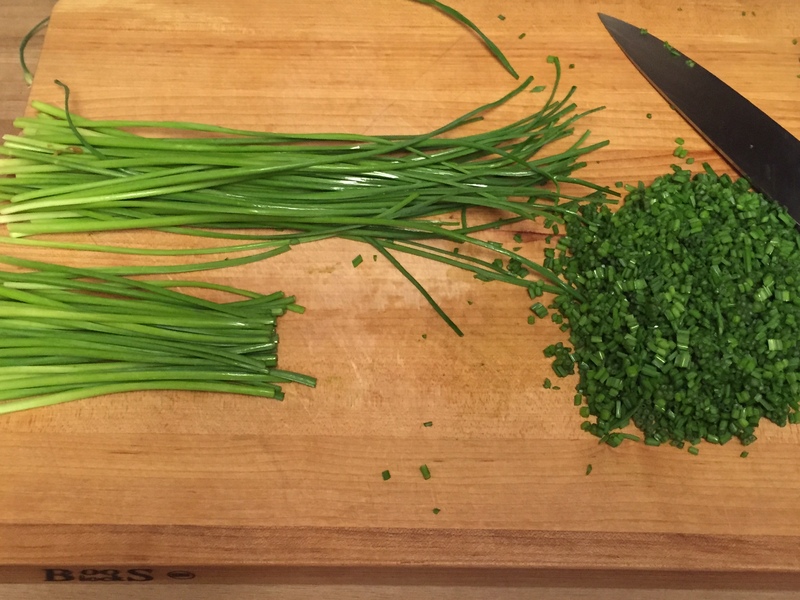 Finely chop the top half of the chives. 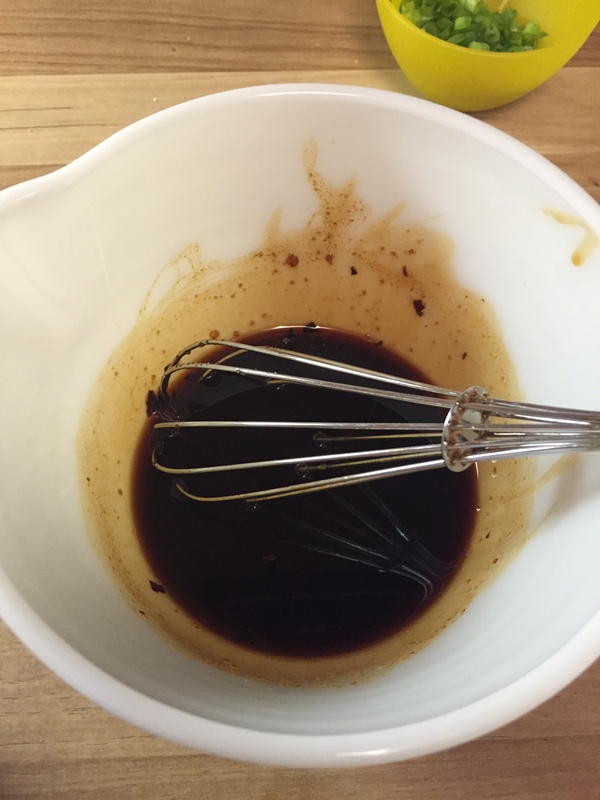 2 tablespoons dark soy sauce, 2 tablespoons sesame oil. Combine everything in your bowl. 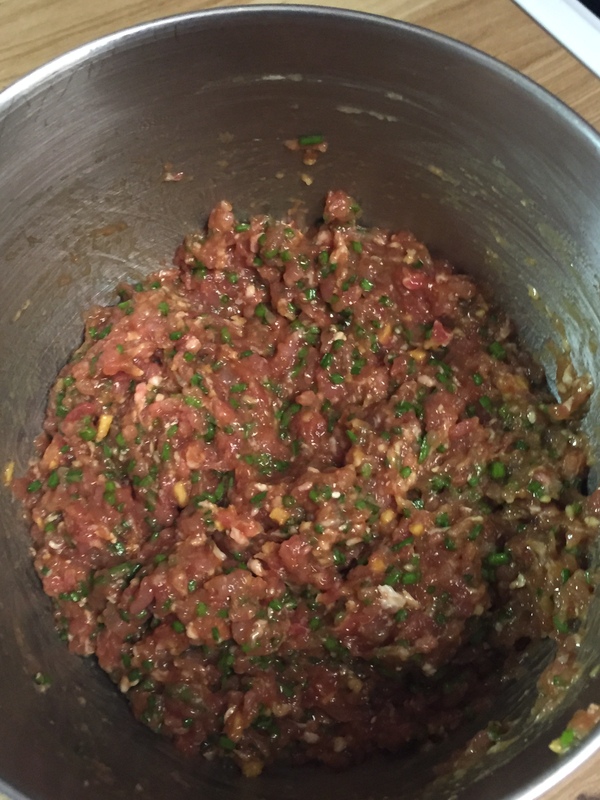 Combine with 1 cup of chicken stock and stir until consistent. 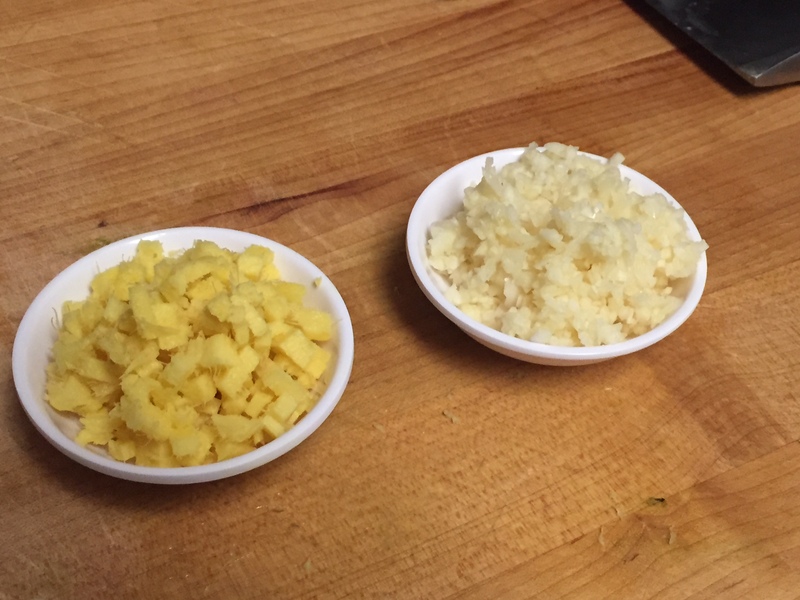 Add some crushed ginger to cold water and prepare to assemble. 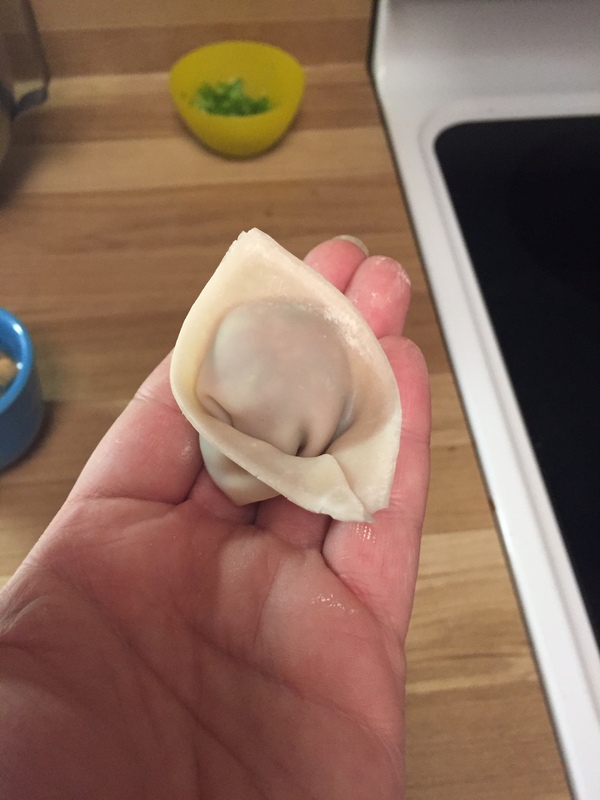 Add a teaspoon of the filling to the center of each wrapper and moisten 2 edges. 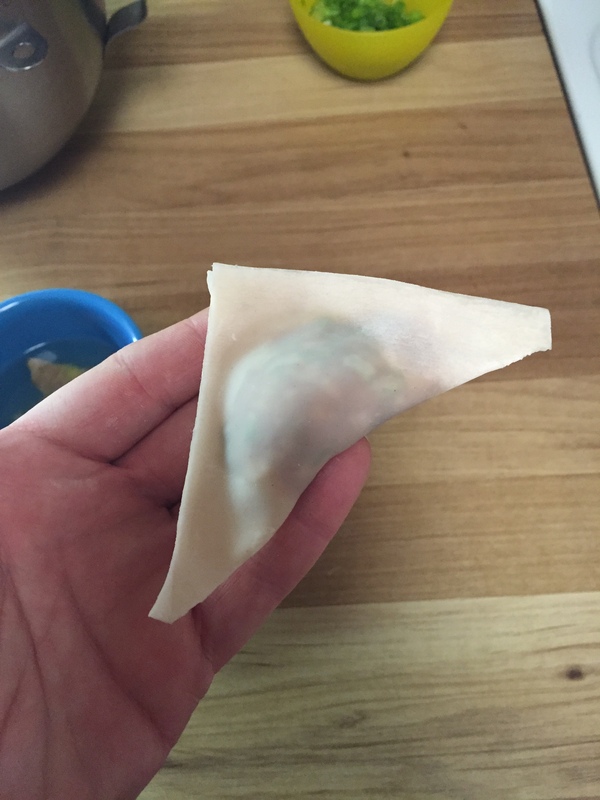 This is what they look like after folding. 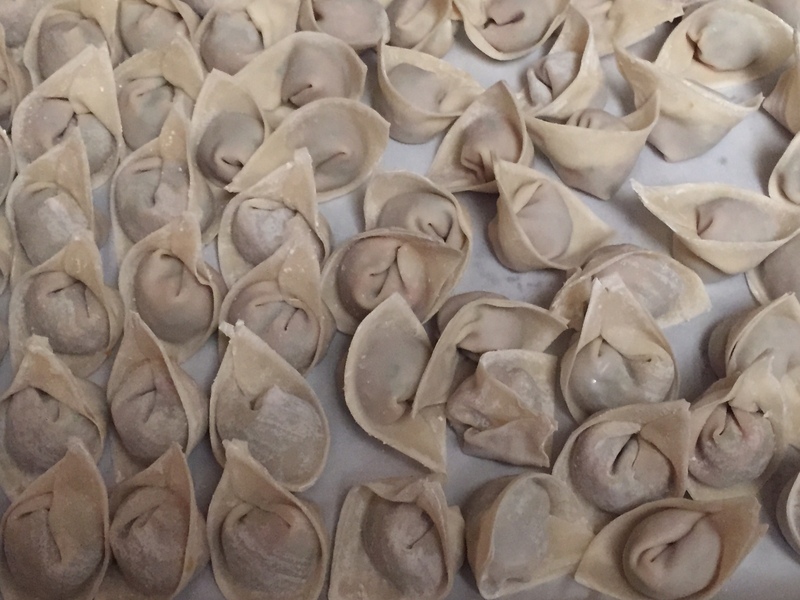 Folded and ready for boiling. 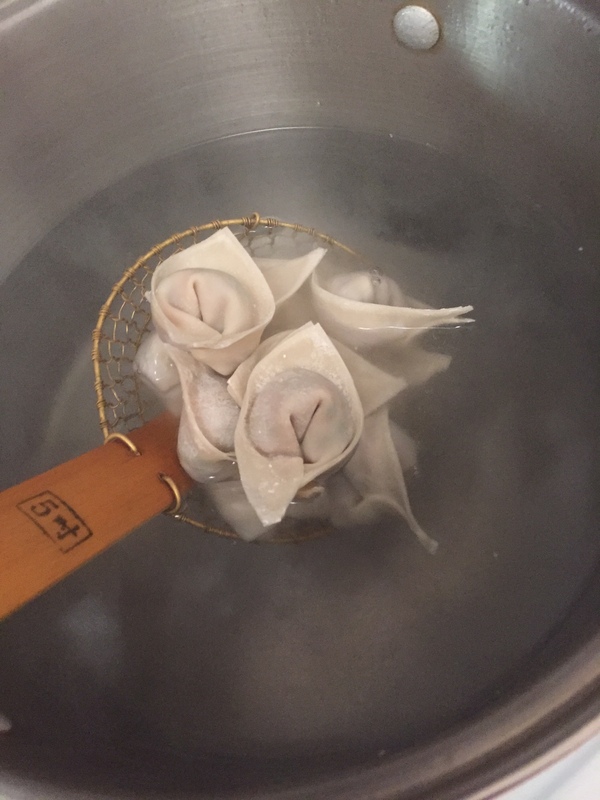 Drop into boiling water. When the water returns to a boil, add a cup of cold water. 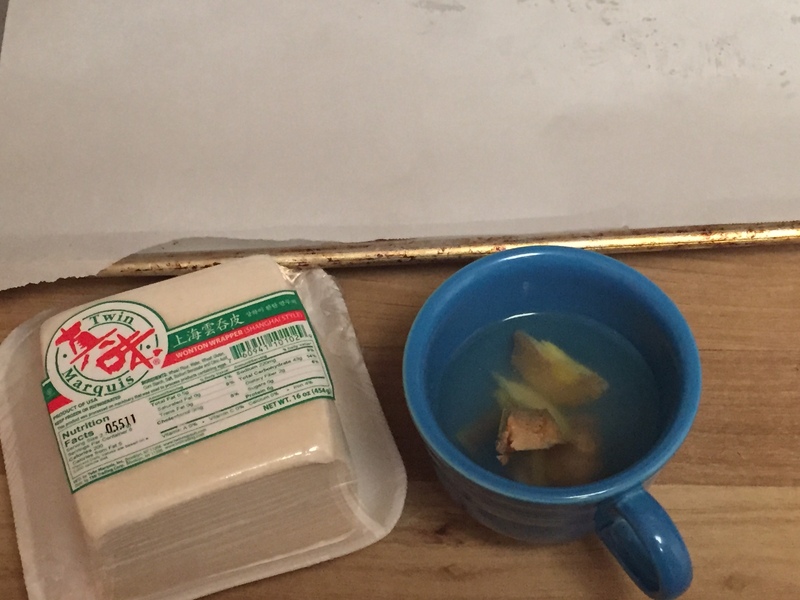 Once it begins to boil again, add another cup of cold water. 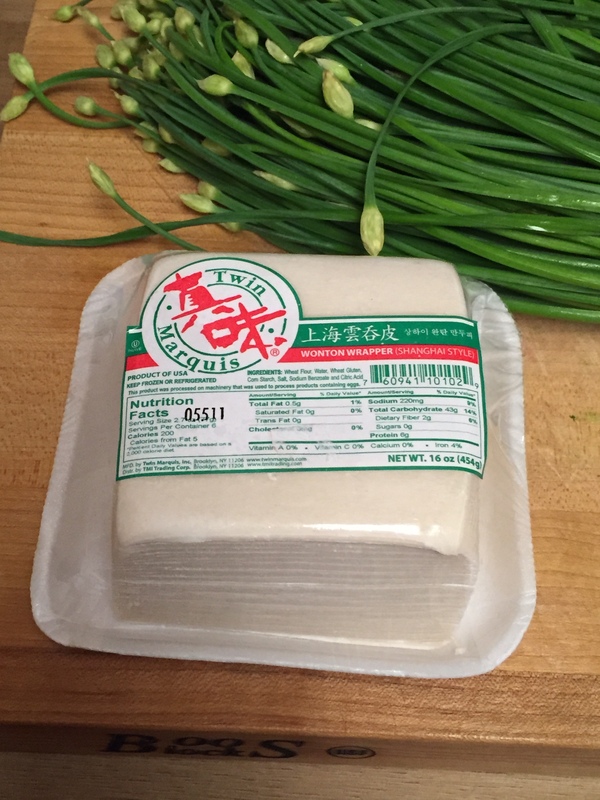 Once it begins to boil the third time, they should be cooked through. 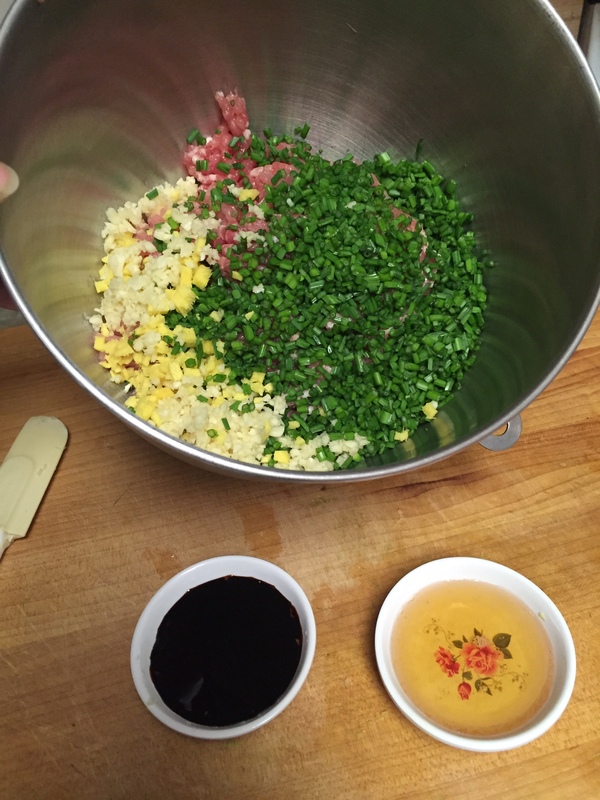 Drain and divide into bowls. They wrinkle up like little brains. 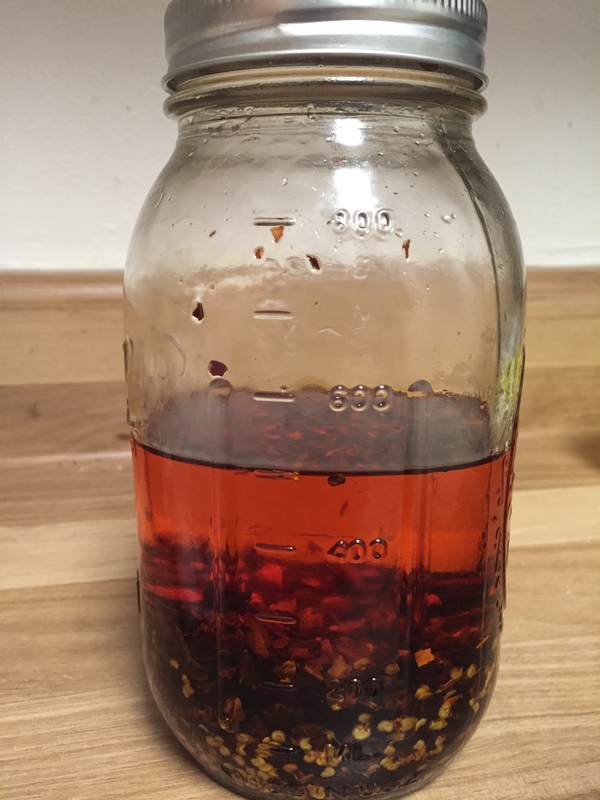 For the sauce combine 5 tbls chili oil, 1 tsp sesame oil, 1 tsp sugar and 2 tbls soy sauce. 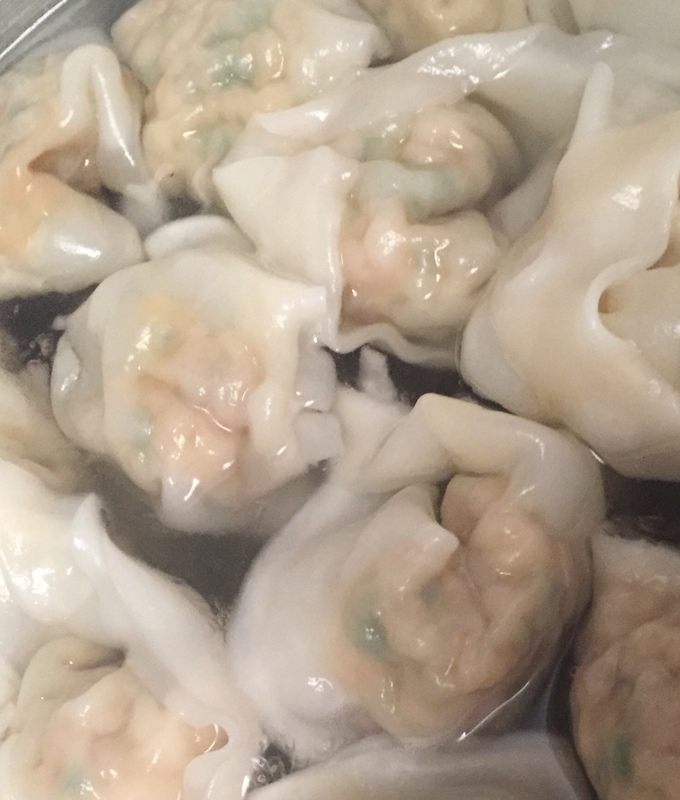 Drizzle a tbls of the sauce over the hot wontons and serve immediately. 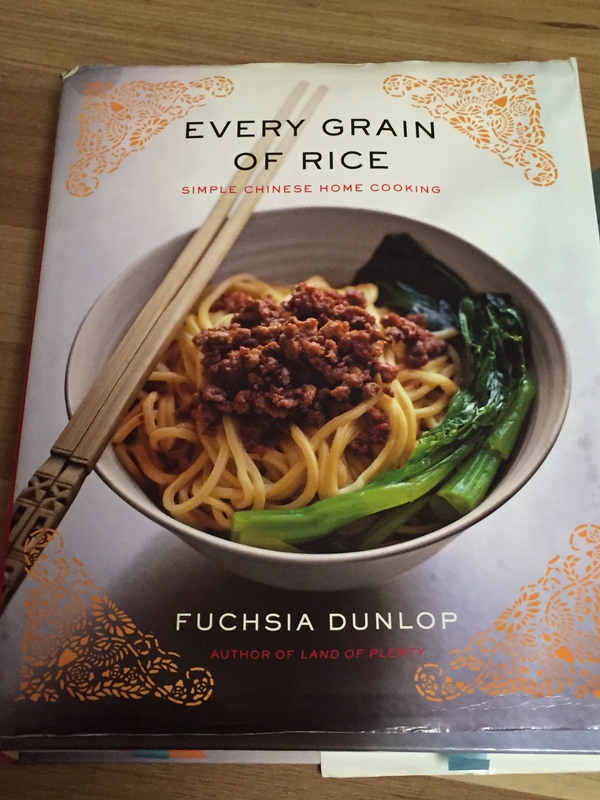 If you would like to try more authentic Chinese recipes, I highly recommend this cookbook.